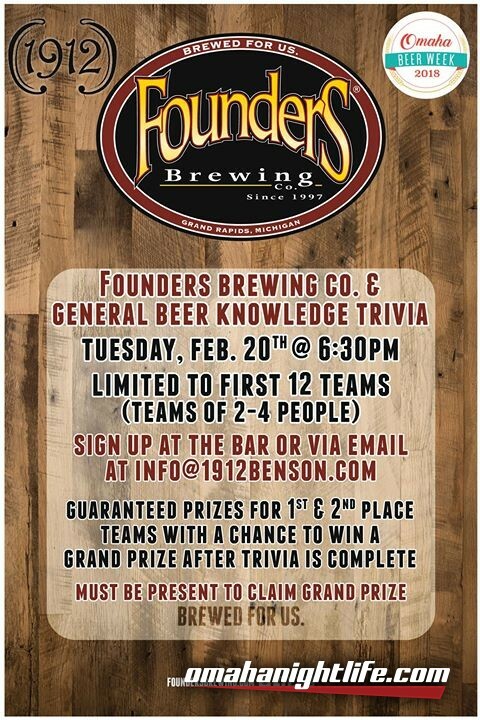 Founders Brewing Company and General Beer Knowledge Trivia. Tuesday, February 20th @ 6:30 PM. Limited to the first 12 teams (teams of 2-4 people). 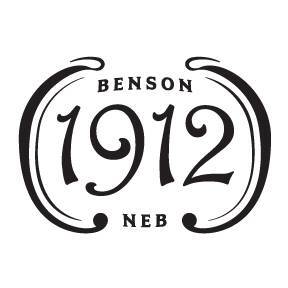 Sign up at the Bar or via email at info@1912benson.com. 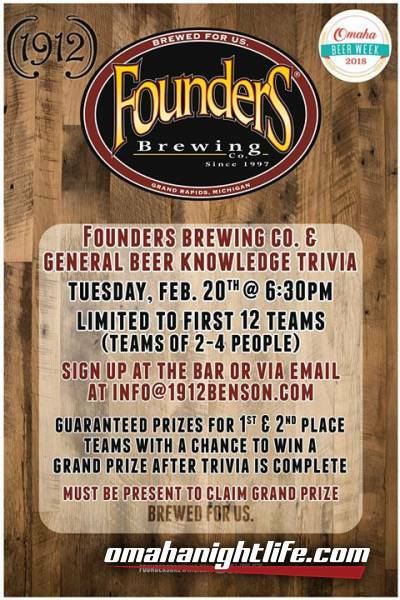 Guaranteed Prizes for 1st and 2nd Place teams, with a chance to win a Grand Prize after Trivia is complete. (Must be Present to claim Grand Prize). 1912, located in historic Benson, Nebraska. Roof top deck, hand made margaritas, unique boiler makers and craft beers.